One of Razorleaf’s longest standing partnerships since 2002, MLC CAD Systems of Tempe Arizona, is a leading reseller and service provider of CAD, CAM, and Additive Manufacturing solutions. 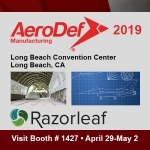 Razorleaf and MLC CAD Systems have teamed up numerous times over the course of the relationship to help clients implement PDM, CAD, Design Automation technologies. Ok, so it was the late 1990’s, but the CAD world would be significantly changed by the technical revolution that several small companies like SOLIDWORKS, Solid Edge, and Autodesk with Inventor proposed to bring to the market. Razorleaf Corporation today announces Clover, its open integration platform, is releasing ERP connectors for SOLIDWORKS PDM Professional to SAP, Microsoft Dynamics, Oracle, MAPICS/Infor and other ERP systems. From Autodesk veeps to customer stories and open-air networking, Accelerate 2015 on Sept 1-2 inspired, catalyzed, and educated. Highlights included stunning images from Autodesk PLM 360 customer BAC, PLM analysts trying to avoid fraught buzzwords in the panel discussion, and a sneak peek at Autodesk cloud PDM and “evented web” integration for Autodesk PLM 360. 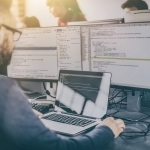 Dassault’s primary license server, DSLS, has some pretty interesting features, but we just ran into one that could be applicable in a number of situations. Aras released the latest version of their platform, Aras Innovator 11, in December 2014. In this release, Aras has added some exciting new functionality (Visual Collaboration) as well as made significant enhancements to existing functionality (Program Management Solution). It might not be breaking news, but PLM technology users have been awash in new licensing options lately. From monthly subscriptions to all-you-can-eat license plans, major vendors like Dassault, Autodesk, Aras, and more have been bringing new license options to the table – and end-users seem to be the real winners. If you haven’t heard of it yet, and you use AutoCAD from Autodesk, you should learn a bit about DraftSight. In particular, if you use Enterprise PDM to manage DWG or DXF files, it is definitely time to give DraftSight another look, because SolidWorks now offers an integration between DraftSight and EPDM.